The Stanley Parable, AKA the greatest game about a Stanley ever made, is five years old today. And, through the passing of time, it’s finally possible to legitimately acquire one of the game’s most elusive achievements. 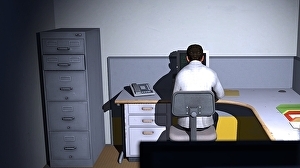 Developed by Davey Wreden and William Pugh, The Stanley Parable is either, depending who you ask, an absurdist first-person office comedy, a wry rumination on the nature of agency in video games, or a harrowing existential nightmare of the soul. Or, perhaps, all three. Or none? In a long line of wonderful things to be found in The Stanley Parable, stretching all the way from its omnipresent narrator to the finest cupboard-related joke in all of gaming, are some delightfully daft achievements. One, for instance, can only be unlocked if the game is played for a full 24 hours on a Tuesday. Another, Unachievable, has reportedly seen its achievement criteria changed with each new update – although that hasn’t stopped 4.4% of Steam players from securing it.